Munijan is an event which Mumbai University hosts with the organisation entrusted upon business schools under its umbrella. SIMSREE’s Student Social Responsibility was a part of the organizing committee along with some other reputed colleges such as Jamnalal Bajaj Institute, Welingkar, MET and ADMI. It is an initiative to make a sustainable change through implementable solutions provided by students. The participants here are given a theme, and they must come up with a doable solution for the problem at hand and the solution should have positive quantifiable effects. The theme we chose for the participants was “Environment:Conserving Nature, Earth is what we have in common”. It was held on the 2nd of October, 2018 at Sir Cowarji Jahangir Hall of the University of Mumbai. We had immensely prestigious jury present there to grace everyone’s presence. We had Mr. Tapan Wagle, Senior Consultant at Environmental Management Centre, Mrs. Meena Mutha, founder and trustee of Manav Foundation, Ms. Malvika Nagarkar from the University of Sussex with 35 years of teaching experience, Mr. Vinod Chabra with 30 years of management consultancy with Tata and Mr. Santosh Phad, founder and Trustee of Think Sharp Foundation. The students presented their idea and with impeccable conviction they came up with innovative as well as intriguing solutions to save the environment. SIMSREE students secured the first runner up position and were awarded by the dignitaries. The event was a success and Mumbai University would implement the ideas that the students have come up with. This would have a wonderful ripple effect and could potentially help in saving the environment. Headquartered in Geneva, World Trade Organization was established on January 1, 1995. As on August 30, 2014 it has 160 member nations. The reason behind formation of WTO was to minimize the hassle in trade between the different countries around the world. WTO member nations negotiate and try to formulate the agreements which can make trading among the member nations more fruitful. The Packaging Industry might not have the glamour attached to it similar to the Retail Industry, but according to Economic Times it is currently valued at Rs 78000cr. Packaging is done for a product to protect it from damage due to external weather conditions, transportation, human errors and also to display important information without having to open the box. 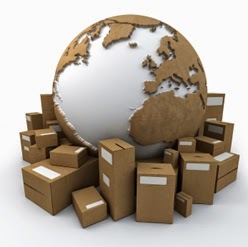 That was the sole purpose of packaging until the emergence and growth of e-commerce. 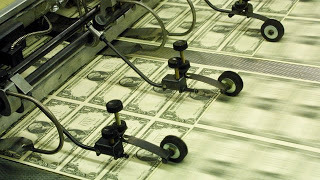 Quantitative Easing (QE) describes a form of monetary policy used by central banks to increase the supply of money in an economy when the bank interest rate, discount rate and/or interbank interest rate are either at, or close to, zero. Introduction: The Netherlands is a parliamentary democracy in North-west Europe and has been playing a special role in the European economy for many centuries. 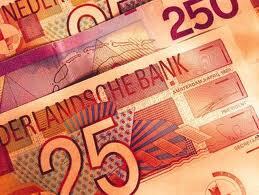 The country capital is Amsterdam and the seat of government is The Hague. The Netherlands’ location gives it prime access to markets in the UKand Germany, with the port of Rotterdam being the largest port in Europe. 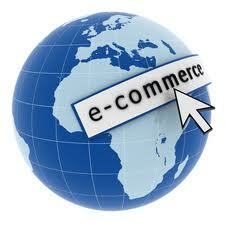 As India inc. echoes the sentiments of new business models, ecommerce industry is set to expand at a monumental scale. India’s e-commerce industry is primed to become the next big revolution with the dramatic change in the shopping trends witnessed in the recent times. Being the 11th largest economy, India has already marked its presence on the eBusiness Organization of key international markets. With 124.7 million online users currently, Indian Ecommerce market has turned out well with estimated revenues of around USD 10 billion. Flipkart, Snapdeal, Myntra etc. speak volumes about it. But the big question remains whether it‘s just a fad or is it the curtain raiser to the humongous growth awaiting in business circles. Before we begin with different types of margins, let us look back at what margin trading is. Suppose I is an investor and B is a Broker. I is extremely sure of an investment strategy that he has developed. But due to the limited capital, his gains are limited. So, he goes to his broker B and says that I have 10$ but I would like to invest worth 100$. Would you like to provide me with the remaining 90? B says, that he is willing to provide the same but he would charge some extra commission for that. A agrees and pays the 10$ , B gives him the remaining 90 and A then invests the 100$. He makes a profit and then returns the 90 plus the extra commission to B. The transaction above in layman terms is margin trading. Primary Markets are where firms issue new shares or bonds to the public for the first time. The primary market is where the IPO (Initial Public Offering) of shares takes place. The primary market also facilitates bond offerings for both – public sector and private sector companies. Have you ever been confused on how to start with a technical analysis of a stock, index, commodities, Currency etc.? This article aims at solving the puzzle. 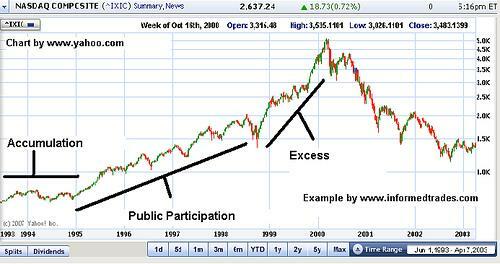 First of all, Technical analysis isn’t the only way, there are fundamentalists too. But fundamental analysis tends to lag because, Fundamentalist studies the cause of the market movement, and Technician studies the effect. Derivatives: A derivative is a financial instrument whose value as the name says is DERIVED from the value of an underlying asset. The asset could be anything for e.g. commodities, stocks, Forex etc.